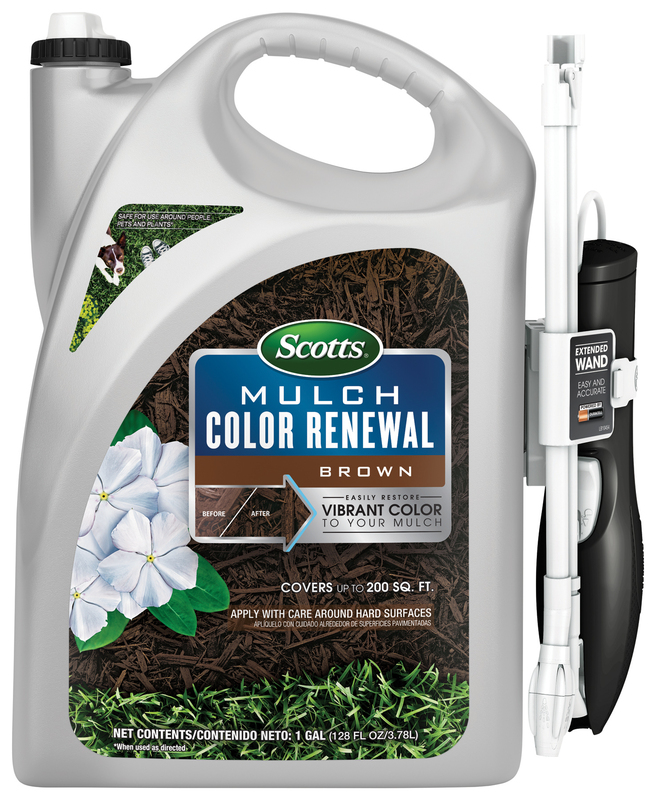 Few things in your lawn and garden provide instant satisfaction and curb appeal like freshly laid mulch. Scotts® Mulch Color Renewal is the perfect solution for times when you have plenty of mulch but not that fresh vibrant look in your landscape beds. 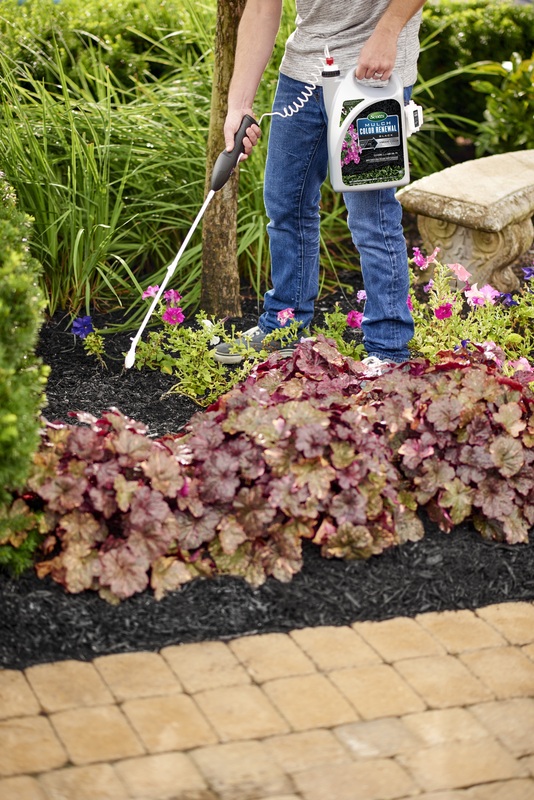 Touch up those high visibility areas and maintain the best looking landscape on the block. Make sure the cap is tightly sealed and in the off position. Shake vigorously then assemble the applicator based on the instructions on the package. Twist the spray tip to choose a spray pattern - then unlock the trigger. Slowly spray the desired area until you achieve the rich and renewed color you want. If you have any leftover product twist the cap to the off position. Store product in temperatures above freezing and use within 6 months. Bottle can be recycled when empty. Do not refill or reuse. Dispose of waste in regular waste stream. If you are not satisfied after using this product as directed simply send us your original proof of purchase and we will replace the product or refund the purchase price. This is a stain. Avoid sidewalks, pavers, foundation and other hard surfaces. Consider wetting any hard surfaces near the mulch, doing so helps with overspray clean up (keep mulch dry!). 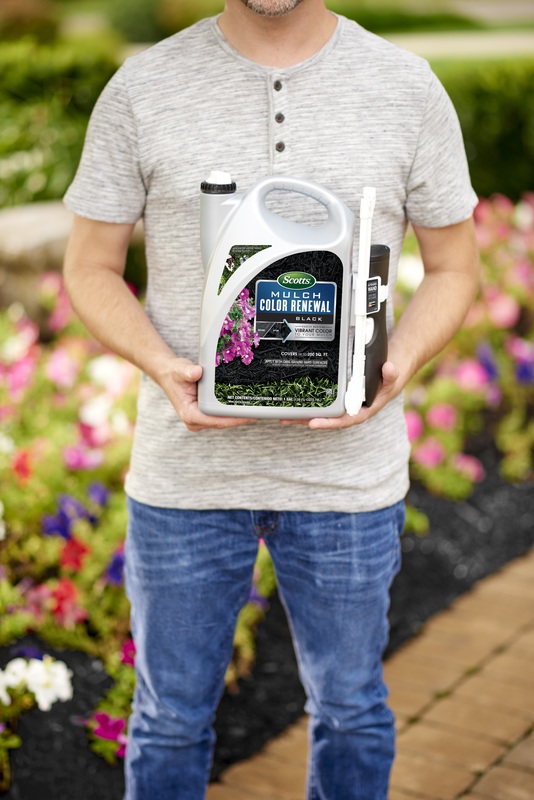 Consider using a spray shield, like a piece of cardboard, to protect surrounding plants, grass and hard surfaces - if you overspray, immediatly rinse and scrub the surface. 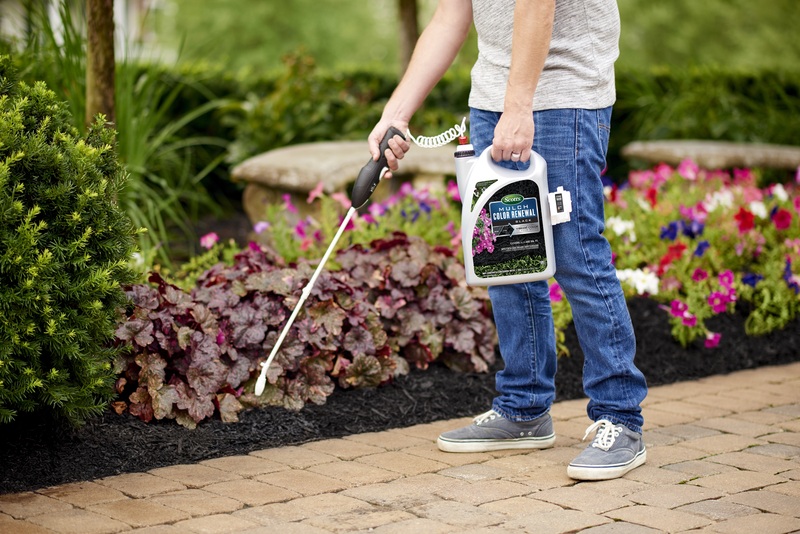 To become familiar with spray pattern, start in an area away from plants and hard surfaces. Dry to the touch in 2 hours. Rainfast in 6 hours.